The Batesville Municipal Building houses the City Administrative Offices, Batesville Code Enforcement, Batesville Water Utilities, Cemetery & Landscaping Department, Human Resouce Department & Safety Director, and several tenants upstairs. The City Attorney’s office is also located on the third floor. 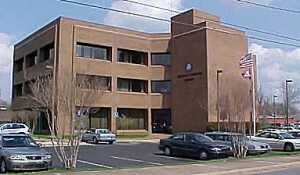 The Administrative Offices include the Mayor’s Office and the City Clerk’s Office. The City Clerk’s office consists of the Clerk, Ms. Denise Johnston, Sr. Deputy Clerk Ms. Brenda Riley, Accounts Payable Clerk Ms. Lori Pierron, and Ms. Donna Smith is also serves as a Deputy Clerk The Clerk’s office keeps the records of the city as well as doing the payroll, accounts payable, accounts receivable and all bookkeeping records for the city. Ms. Jennifer Corter is the Mayor’s Administrative Assistant and also serves as a Deputy Clerk assisting in Ms. Johnston’s office as needed.